Don’t worry, Hamilton fans: the Secretary of the Treasury has personally assured Lin-Manuel Miranda that you will be pleased with the redesign of the ten-dollar bill. Last year—to much fanfare—the Treasury announced that the ten was due in the rotation for a redesign, and for the first time, they’d be putting a woman in the marquee spot. But that was before Hamilton fever swept the nation, generating a new wave of interest in Hamilton the man. And the Treasury said from the very beginning that they’d find some way to continue honoring the department’s first secretary on the ten, so this isn’t really a reversal. Women On 20s has proposed a compromise, supported by NOW, to keep Hamilton alongside a woman chosen by Treasury and change the opposite side of the $10 bill, replacing the image of the Treasury building with a vignette of nearly a dozen female historical figures. “That’s not in lieu of having the prime territory, which is the portrait side,” Ms. Howard said. 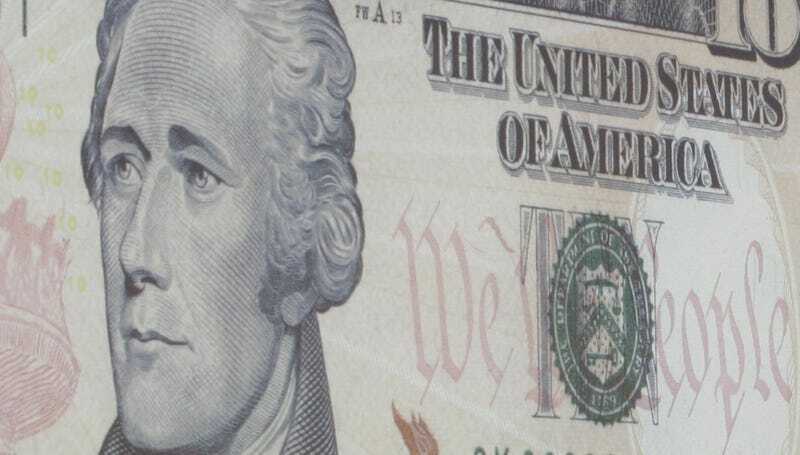 A woman’s portrait could replace Jackson’s the next time the $20 note is redesigned, she said. Alexander Hamilton would love nothing more than to be surrounded by ladies, anyway.